Test your game with a memorable round at Farmstead Golf Links, home of the Grand Strand's only par-6 hole. 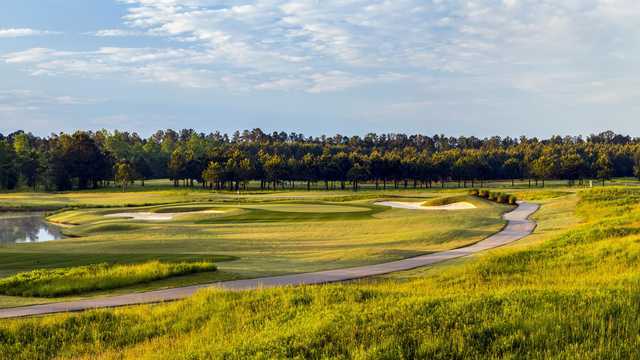 The hole begins in South Carolina where golfers tee off to a wide sweeping fairway, then curves around a lake before ending on a massive green across the border in North Carolina. Stretching out 7,242 yards from the back tees, Farmstead offers stunning visual beauty and majestic water hazards. And because you can select from five sets of tees, you don’t have to be a long ball hitter to score well on this course.